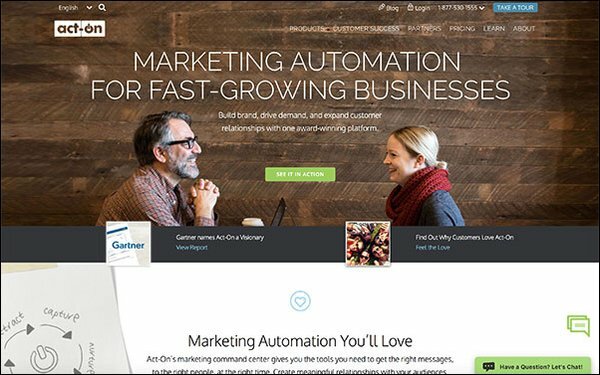 Act-On Software revamped its marketing automaton platform this week with three new features aimed at helping marketers increase customer engagement. To help brands communicate better through email, Act-On has bridged promotional and transactional content with the introduction of Transactional Sending to its automation platform. With the new Transactional Sending feature, Act-On customers can ensure these types of emails have just as high of a deliverability rate as promotional content. Transactional email differs from promotional content because it is sent to customers as a direct result of their actions. For example, order confirmations, shopping receipts, and shipping notifications would all be considered transactional emails. Transactional emails are never sent en masse, and their individualized relevancy is the reason why they have such higher open rates than promotional emails. Act-On’s new Adaptive Forms feature extends the company’s Adaptive Journeys email personalization solution to surveys and forms, allowing marketers to collect data to optimize future marketing content. Adaptive Forms are also responsive, so they are viewable on any device, and adaptive, so questions progress based on customers’ previous responses. The company’s third new feature is intended to help marketers prepare for the implementation of the General Data Protection Regulation (GDPR) on May 25, 2018. GDPR will soon regulate how customer data is used and stored, and the rules don’t just apply to companies headquartered in the European Union. Any business or organization that utilizes the data of individuals residing in Europe -- even just an email address -- can be fined for noncompliance. To help customers mitigate compliance fines, Act-On’s new Local Sending module allows organizations to store data strictly on Act-On’s AWS servers in Ireland so that data is only transferred within countries in the European Union as a way to safeguard data protection standards. Act-On Software says it will continue to prioritize GDPR in future product development.